THOR- A Novel Approach to Reviewing Movies | ItuaLive! Perhaps a new way of assessing a movie is needed, let’s dismiss the strict appreciation of the cinema like it were a lab sample to be examined microscopically, let’s look at the big picture: the formation of a bond between two or more observers of the same piece of art. Friendship, reaffirmation of family, love even. 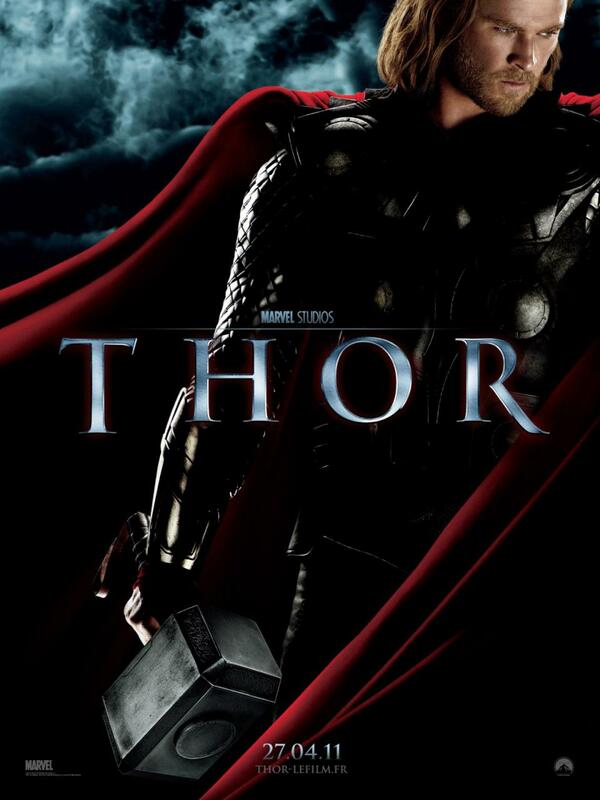 It’s a novelty that occurred to me when I saw the big screen adaptation of Marvel’s Thor. On a whim, I went to the cinema hoping to catch anything that would not require thinking. Seeing the much advertised Thor on the bill, I figured it was a remarkably positive force that brought that whim; this feeling was bolstered when I was handed a ticket for popcorn and drinks. Ha! I was on a roll. The movie was due in 30 minutes and I spent the time in the bookshop. Eventually, I got on a queue for the popcorn, behind me were two daintily dressed girls, in front a guy holding flyers who pushed one into my hand inviting me to a stage performance of Ola Rotimi’s Our Husband has Gone Mad Again. On a whim- I was on ‘whimming’ streak, no one could stop me- I urged him to invite the girls behind me. He hesitated, so I took a flyer and gave it to them myself, surprised they asked for the gate fee to which I replied: ‘free’. They might go, they mightn’t, that was beside the point. I cracked a joke about selling the free drinks then asked what movie they came to see. Thor, it was. Between getting the freebie and getting a seat, I lost them. But as I sat in the cinema, someone tapped me and lo, it was one of them. And so the movie began. It opens as the eponymous character hit by a truck as he appeared to drop from the skies, the truck contains Jane, Darcy and a Dr Erik (played by actress on a roll Natalie Portman, Kat Jennings and Stellan Skarsgard). Then there’s a flashback to help answer the question: how the deuce does a god fall from the sky? Well, up there in not too pretty CGI planet Asgard, a young Thor and his brother are admonished by their father Odin (Anthony Hopkins) on what it takes to be king. While Thor (newcomer Chris Hemsworth) is belligerent, his brother Loki appears to be the brooding type; years later as Thor is about to be crowned, Asgard’s enemies, citizens of Jotunheim attempt to take back a source of power taken as spoils when Odin defeated them. The attempt is scuttled so is the coronation, Thor is angry and decides to fight apparently to instil fear into the enemies but really to give the CGI people avenue to show their skills. If the other worldly planets are somewhat dodgy, this first fight scene is awesome. Just as Thor and co are about to be overrun, Odin shows up. An argument ensues, Thor insults his father and is banished. He lands on Earth…and the audience catches up. It is on earth that the blockbuster quality finally shows, the Asgard sequence while expository doesn’t do much for a comic book adaptation, it’s not like anyone came thinking they’d be seeing another The Dark Knight. For one, the cinematography in New Mexico-where Thor lands- is beautiful and light, and the dialogue/chemistry between the leads is remarkable especially against the backdrop of the Doctor’s grouchy disapproval. Plus there are easy jokes, Thor goes to a museum and demands a horse etc. In the midst of all this, there’s a lesson to be learnt though I don’t know too many people who go to blockbuster movies aiming to come out better persons: Thor can only regain use of his fearsome hammer if he possesses the qualities that make him a better person…or is it better god? The story isn’t that straightforward, there’s a standard conspiracy in the tale, among other Hollywood methods: delay the inevitable kiss till the last possible moment, the hero dies until he doesn’t, the funny, near-horny assistant, the obligatory shirtless scene- which elicited gasps from, hopefully only, the females in the audience, a black man (Idris Elba) and an ending that leaves the door open for a sequel. Predictable? Yes, but sweet. However, one gets the feeling that the final fight would have packed more power had it been against the traditional enemy of Asgard. Still the movie works, especially if there’s a pack of popcorn in hand. At the movie’s I’d be back ending, everyone appeared to be happy, so happy that the lady with the beautiful small teeth and winsome smile on the queue whose hand had softly tapped my shoulder during the movie gave me her number. According to this novel approach, chances are, if I call her and she agrees to a date, I’d be right back to write a review comparing Kenneth Branagh’s Thor to Francis Ford Coppola’s The Godfather.